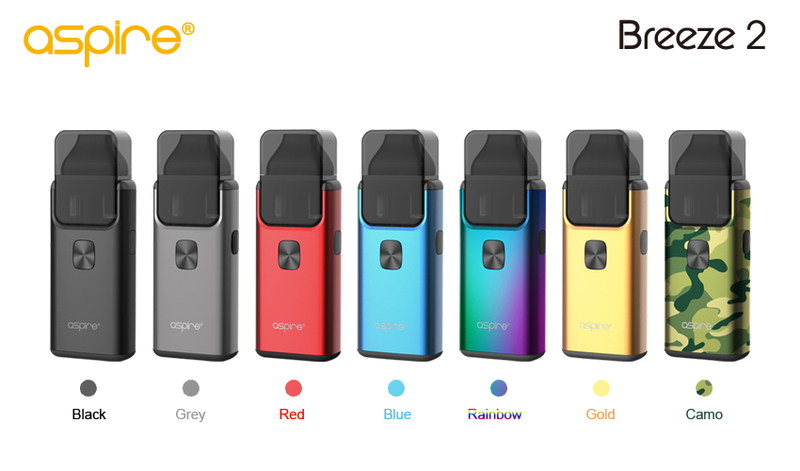 The new Breeze 2 comes in four great satin finishes, black, red, grey, blue, Rainbow, Gold, Camo to suit all tastes. 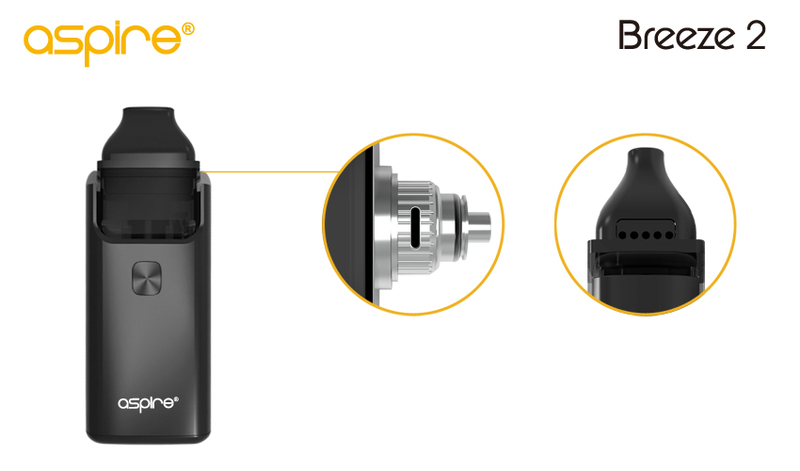 Adjusting the airflow is simple, just pull off the mouthpiece and turn the knurled airflow adjustment ring to your liking. 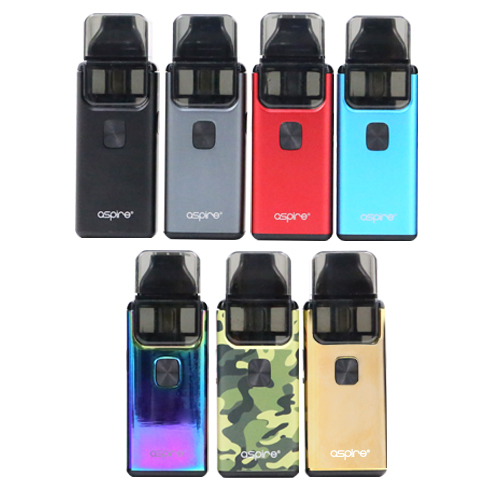 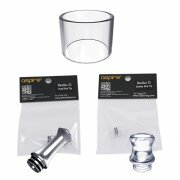 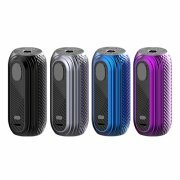 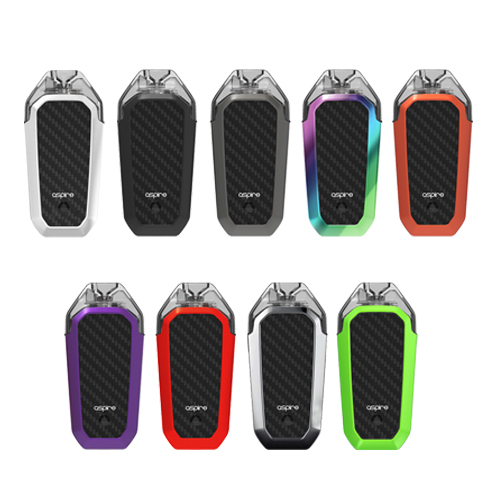 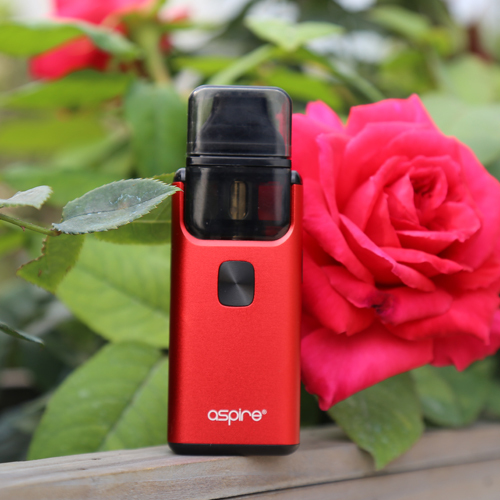 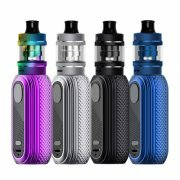 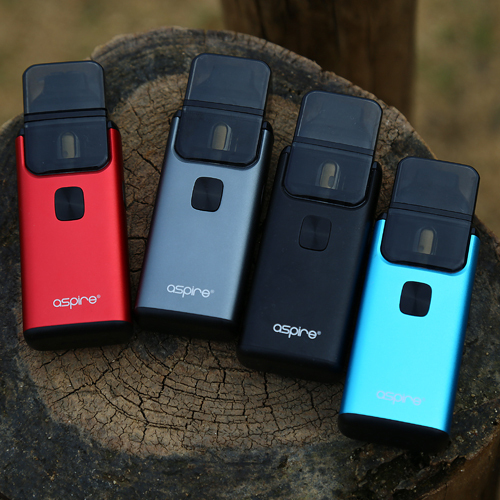 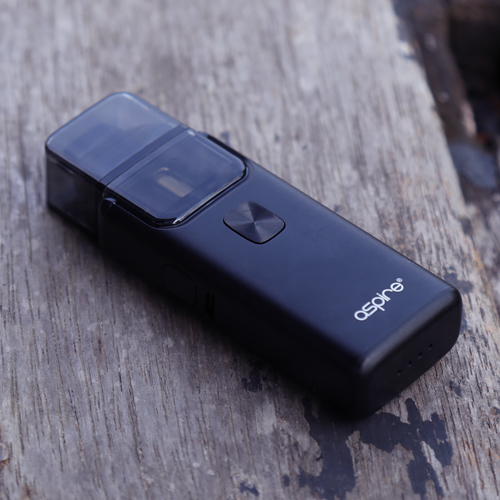 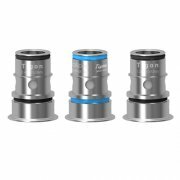 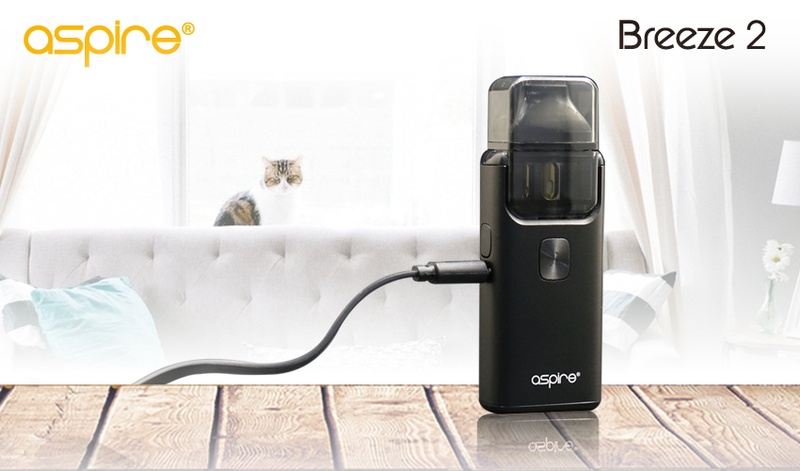 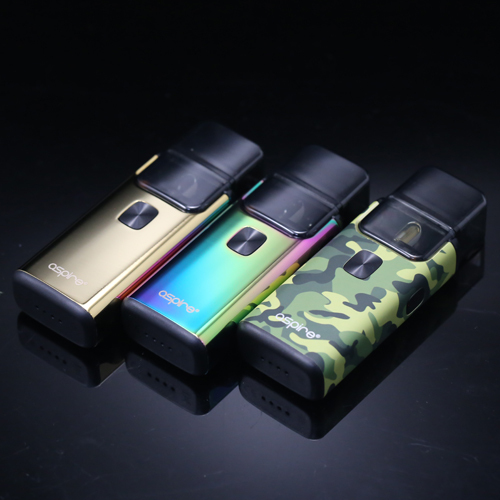 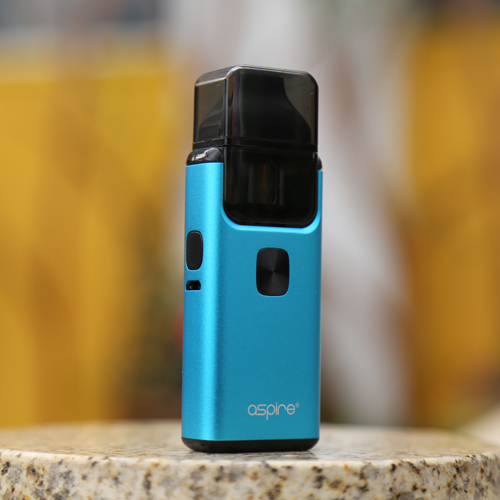 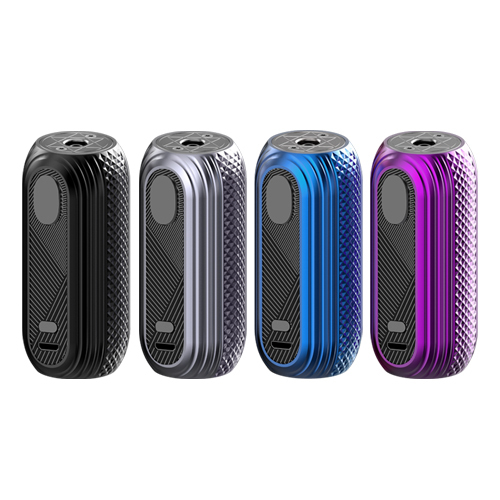 Aspire has now made available spare/replacement pods for the Aspire Breeze 2. 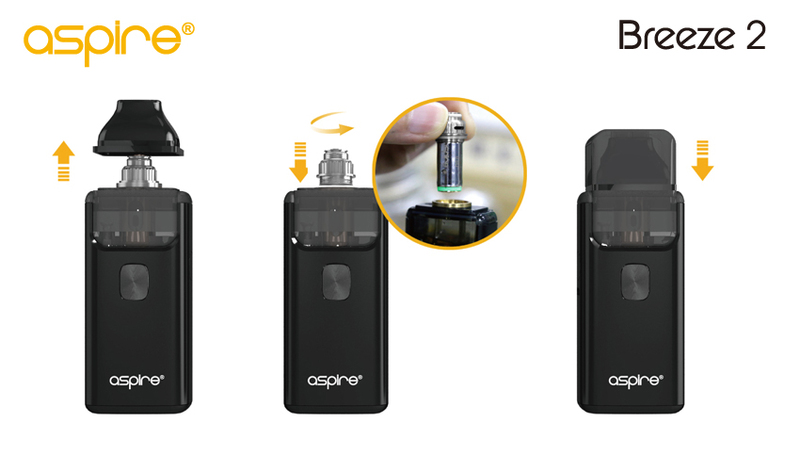 What could be more convenient than having a spare pod around to quickly and easily switch flavors at any time? 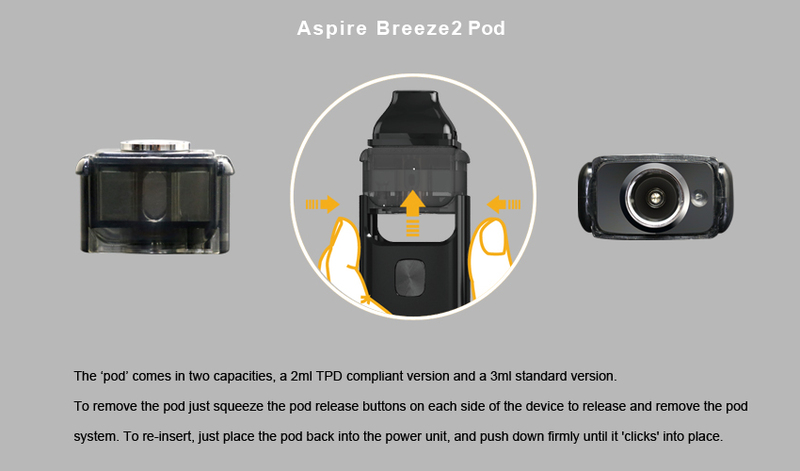 Just squeeze the side buttons, out pops one pod, then push in a different pod. 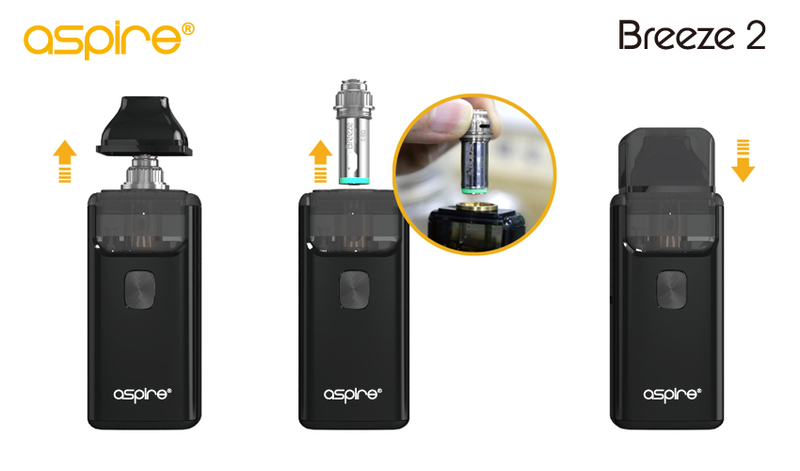 Each replacement/spare pod comes with a pre-installed 0.6 ohm coil and its own top cap, so no leaks in your pocket or purse. 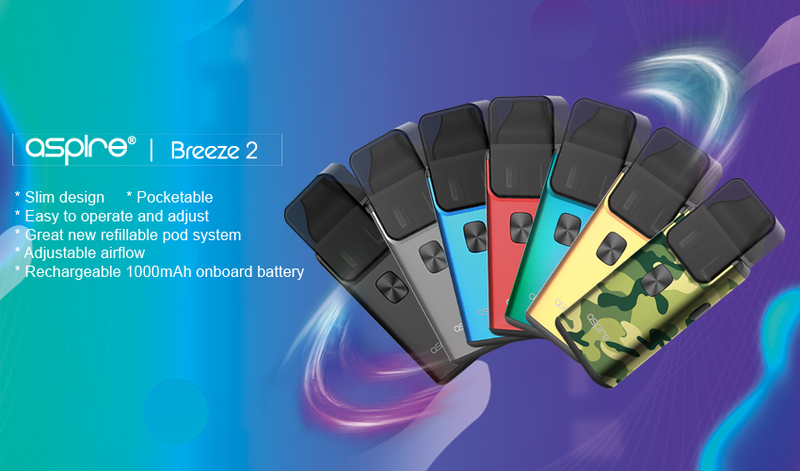 Switch flavors with ease with a spare Breeze 2 pod. 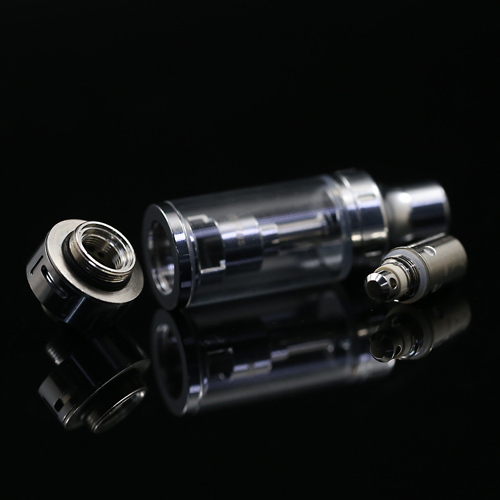 Coil installation is easy too, just pull and remove the drip tip, unscrew and pull out the airflow component. 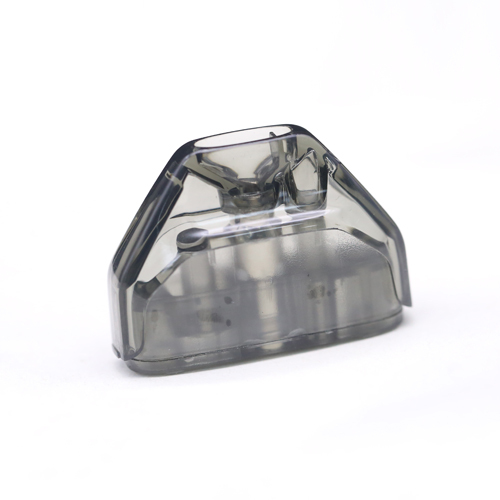 Then detach the coil from the airflow control ring and replace it with a new one. Screw the airflow component back to the pod system and replace the drip tip section. 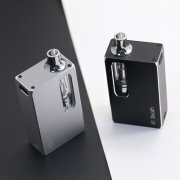 Just pull and remove the drip tip, push down the airflow control ring and unscrew to disengage the airflow component, detach the coil from the airflow control ring and replace it with a new one. 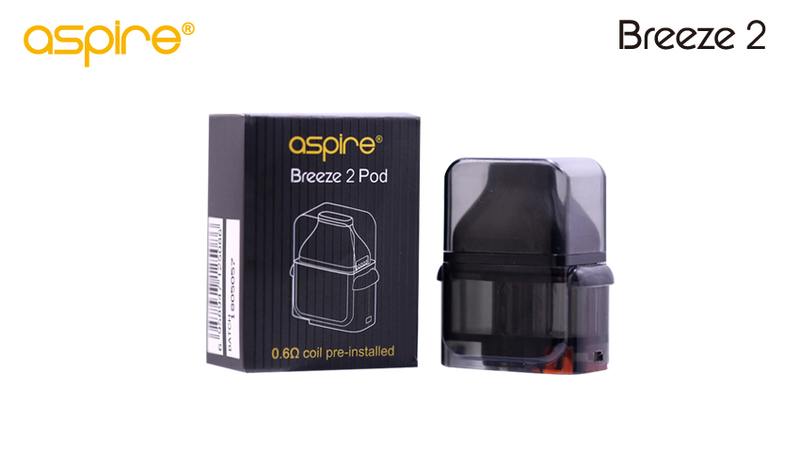 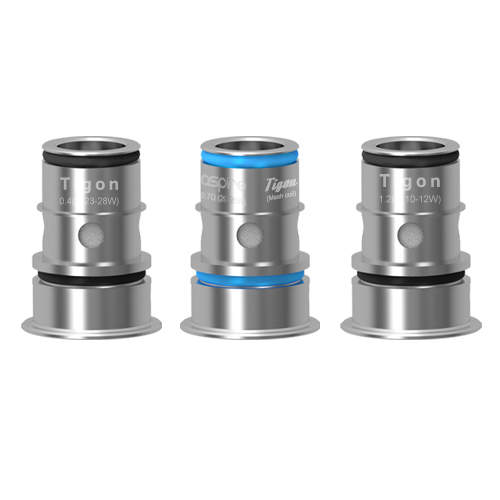 Relocate the airflow component with attached coil back to the pod and replace the drip tip. 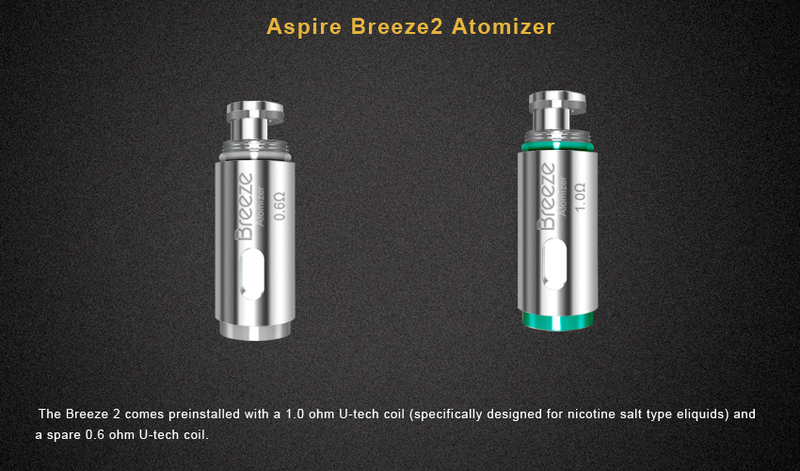 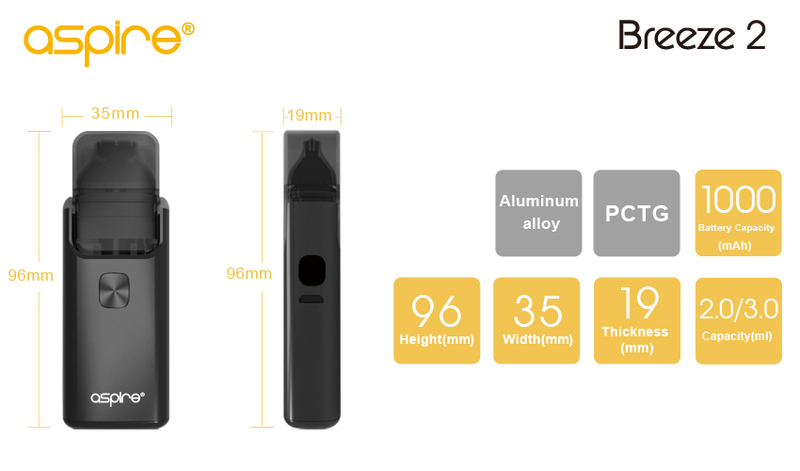 The Breeze 2 AIO kit comes preinstalled with a 1.0 ohm U-tech coil (specifically designed for nicotine salt type eliquids) and a spare 0.6 ohm U-tech coil. 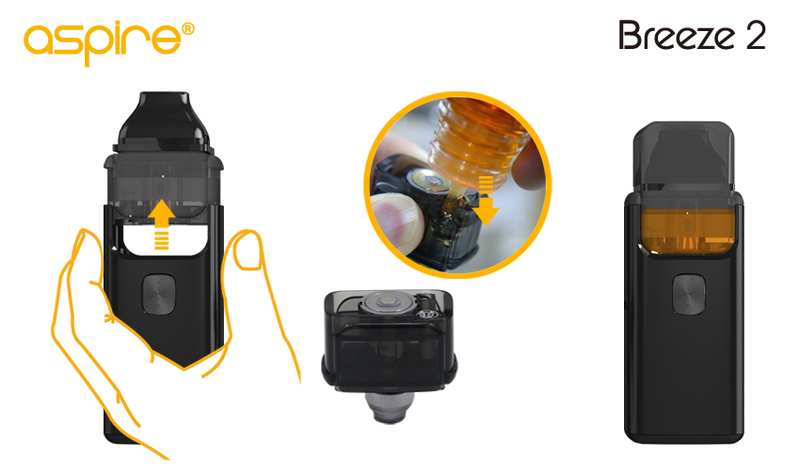 Squeeze the pod release buttons on each side of the device to release and remove the pod system. Invert the pod and just push down the tip of your filling bottle into the spring loaded 3.0mm diameter filling port. 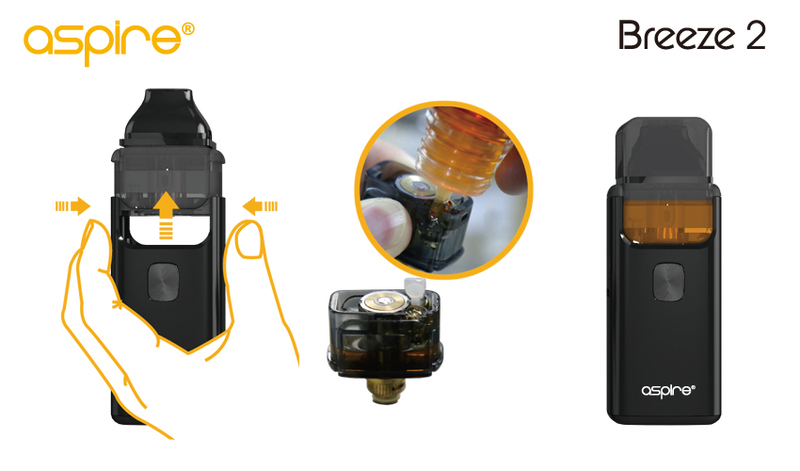 Squeeze the filling bottle to add your preferred e-liquid into the pod system through the hole. 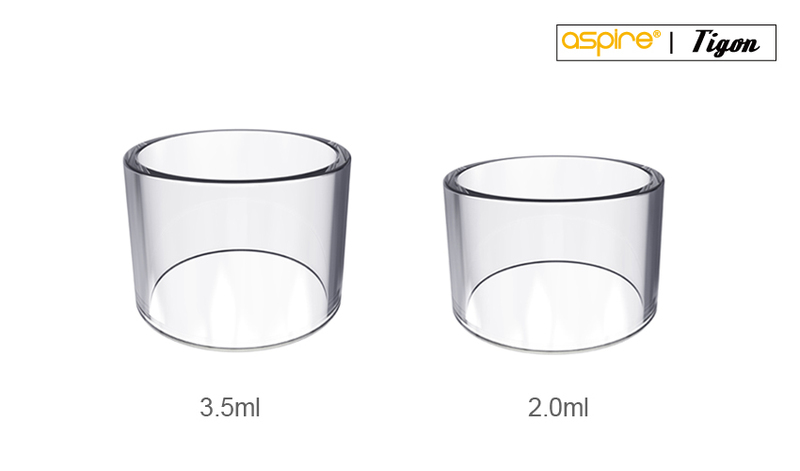 release the pressure on your filling bottle prior to releasing the pressure on the filling port. 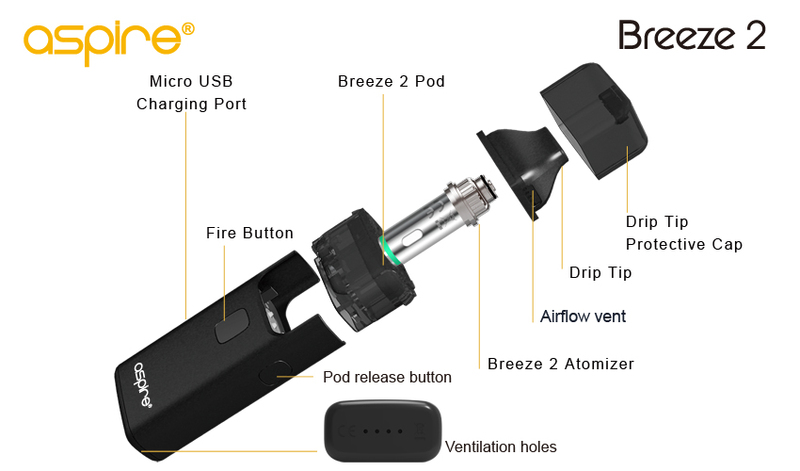 Re-inset the pod into the power unit.